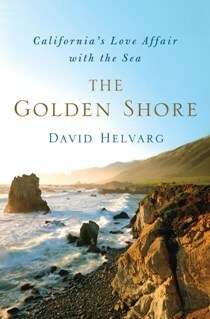 In recounting his discoveries researching 'The Golden Shore,' his critically acclaimed book on how California is defined by the Pacific, author and ocean activist David Helvarg shares the amazing history, culture and changing nature of the California coast and ocean. In engaging detail he makes the case that the diversity of the state's ocean users - from America's largest ports to the navy, surfers, fishermen, scientists and others have created a "democracy of blue interests" - that have made California a world model for living well with the sea, from an ecological, economic and even spiritual point of view. David will be doing a book signing after the lecture in the CMA Gift Shop! Books will be available for purchase before and after the lecture.